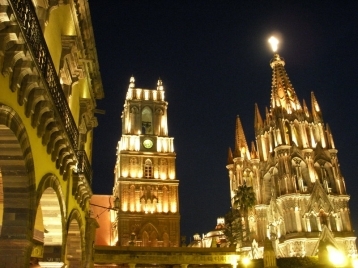 Discover the incredible cultural landscape and the sense of place of San Miguel de Allende in a unique walking journey. Let yourself be guided through the space and time of this mexican town by our guides that decided to live in San Miguel because of its magic and deep cultural history. Transform yourself in an artisan and join us in the crafting of an “artesanía de viaje”, a travel handicraft: our joined walking tour through San Miguel. Our co-created handicraft is a one and a half hours walking tour around San Miguel and its cultural history, from prehispanic San Miguel to present day. Cobblestone streets, architecture, mural painting, traditions, art… We´ll visit the most representative places in the center of this UNESCO World Heritage Site. COST: $25 USD pax - Min 4 people. 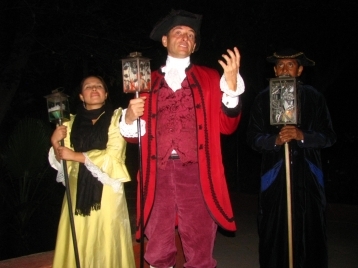 “Myths and Legends” Guided Tour, a walking tour with stories of ghosts, headless, goblins and other spirits that wonder at night on the old streets of San Miguel de Allende. Duration: 1 hour and half. In this two hour tour we will drive through all of San Miguel and its surroundings. If you’d like to see the residential neighborhoods, to have many panoramic views, visit ancient chapels, Instituto Allende and downtown, this is the best tour for it. Don’t worry about how to learn about San Miguel; join our guide (original from San Miguel) and he will share with you the old stories of his forefathers. This tour lasts approximately two hours. Place of start and end of the route where you need it. This tour is Jesús (our guide) own design. 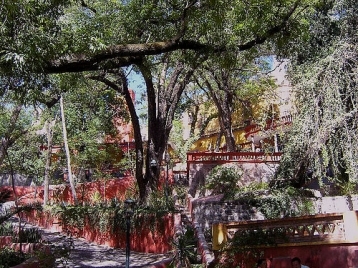 You will see some indoor sites in San Miguel, walk through by the oldest part of the city, which still preserves the original cobblestone streets, and visit some interiors of private houses which have become exclusive bed and breakfasts and art galleries. On this tour he will take you to “El chorro” (one of the favorite highlights for tourists) and the lookout “el mirador”. This tour takes two hours walking slowly. 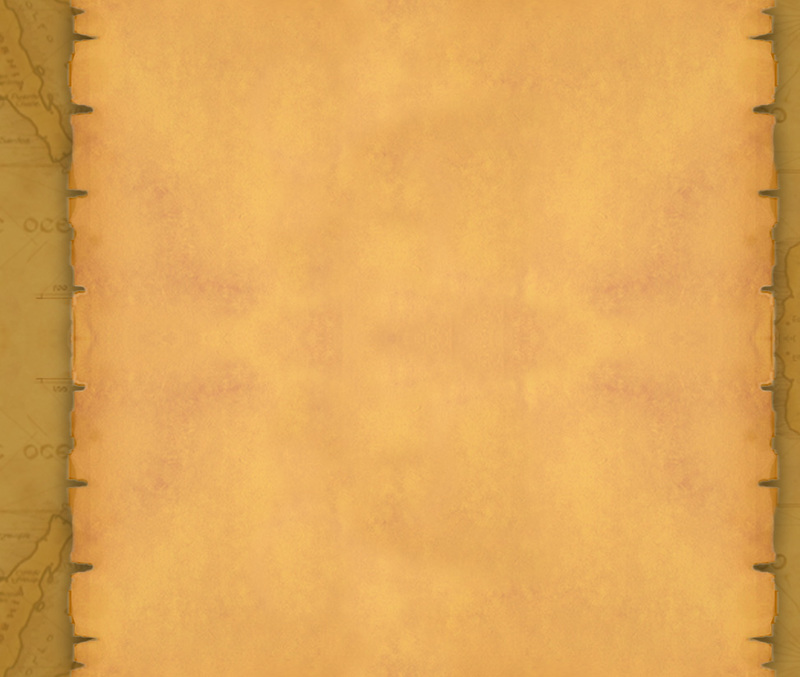 Cost: $30 USD / pax. 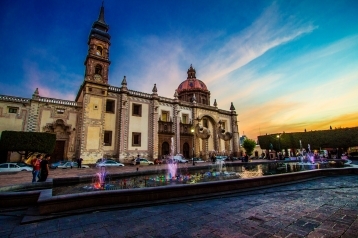 This tour will acquaint you with Queretaro “La ciudad limpia” Travelers Magazine declared Querétaro “one of the cleanest cities in the world“. The elegance of Querétaro has no match in all of Mexico. Visit its museums, the Cerro de las Campanas (the place where the Emperor Maximilian was executed), Santa Rosa`s church (the most splendid baroque art in America). This is one of our favorite tours. Doubtless Querétaro is beyond comparison. This tour takes 8 hours. 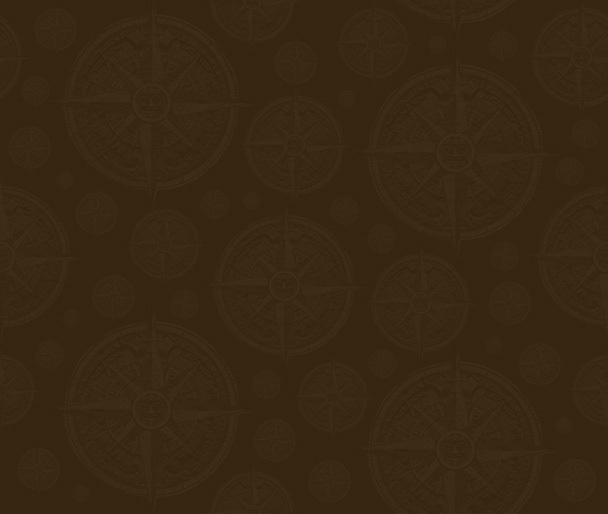 Let our expert guide take you through this marvelous city. This is a whole day tour. 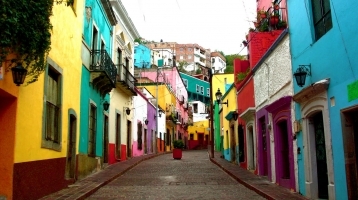 Our guide will pick you up at your place to go together to Guanajuato the capital of the state. 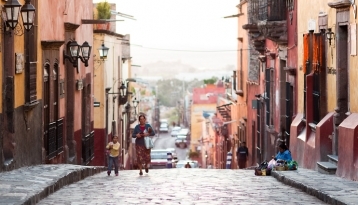 Since 1986 Guanajuato is considered World Heritage Site. In this city we’re going to visit the Diego Rivera’s museum, the Valenciana silver mine, the kissing alley with its legend, and many more sites. Don’t miss this journey across one of the most magical cities in Mexico. Our guide call this tour the beginning of the independence route. It is full of national history and it's a magic voyage through the baroque art. In a half day tour we will visit the Atotonilco church and its chapels. The church where the independence revolution started on 1810, Miguel Hidalgo’s house now a museum and taste the ice creams famous for its diverse flavors. On the way we include the pottery factories and shops (usually we visit lead free shops). 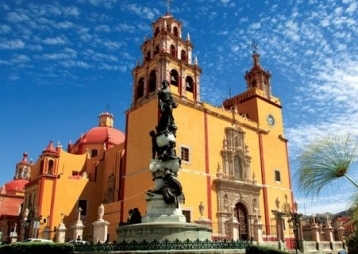 Indulge yourself learning the real history of Mexico in a baroque tour. This is really like the Beatles song “A magical and mystery tour”. 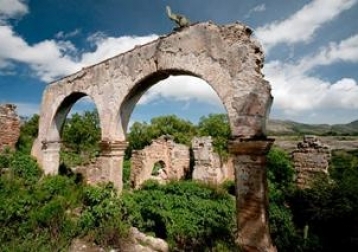 Pozos was a very important mining center in Mexico. In The late XIX century it had over 80,000 inhabitants and was declared “Ciudad Porfirio Diaz”. A pretty wealthy city, it was the first in the state which had electricity. Now Pozos is considered a ghost town. Come and let our expert guide explain to you why Pozos declined.